How to build muscle mass is often much simpler than that. Simple doesn’t mean easy and complex is not necessarily effective. So what is the most basic part of building muscle mass? To answer that we need to remember that increase in muscle mass is an adaptation response to the progressive use of heavier loads. 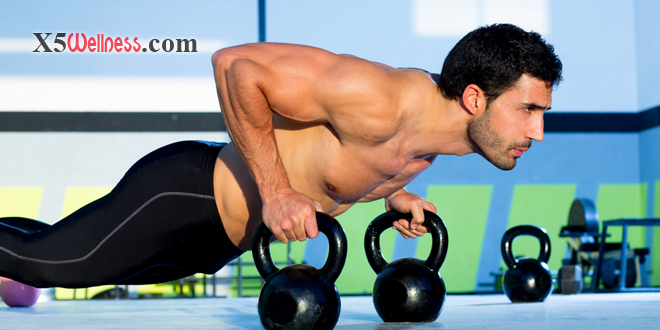 When you continuously challenge your muscles with higher intensity, they re-structure in resposne. Part of the restructuring process is increased muscle mass. Without the necessary resistance intensity that challenges your muscles, there is no reason for them to grow. Your muscles also need time for growth that cannot be rushed through by over training. A healthy pregnancy takes about nine months. What happens in that nine months impacts the mother, the baby, the father and everyone else involved for a lifetime. No one expects to complete a pregnancy faster. Unlike muscle building commercials, there aren’t any TV advertising promoting a six weeks pregnancy program. Time is one of the fundamentals of building quality muscle mass. Your muscles need time to re-structure and grow and they need rest time for it. Another muscle building fundamental is principle of specificity. Think about this. A surgeon needs precise and fine hand motions. What happens if that surgeon entered a lumberjack competition? A surgeon’s fine motor skills that could save lives will not help him swing a three-foot axe, even though a lumberjack competitor must wield that axe with a precision of a surgeon to win. Specificity is practicing what you want to improve as accurately as possible. You have different types of muscle fibers. The muscle fibers that grow most are different from the ones that provide agility or endurance. The fibers that could grow, only grow when you challenge them with higher exercise intensity and heavier loads. Part of this process of challenging your muscle to grow is changing the nature of your challenge. Often slight shift from one exercise to another is enough to change the nature of the challenge. This is why there are so many different exercises for bodybuilding especially at a competitive level. Each exercise challenges a different muscle or the same muscle in a different way. As you advance, you may have to use more complex steps. But first you need to know if you are taking the following fundamental steps necessary to grow your mass. Do you have a written goal? Do you have a written workout plan to help you reach your goal? Do you keep a written record of your workout sessions, your rest periods and your progressive increases in intensity? Are you getting enough sleep? Lack of sleep could lower your growth hormones. Are you allowing enough rest between workouts to allow the rebuilding of your muscles? Are you eating enough nutrient dense foods to provide the building blocks for your muscles? Are you allowing enough time for the muscles to grow?